Whether you are moving across town or across the country, our commitment to quality is the same. 434,000 square feet of storage space to keep your favorite things dry and safe. Simplify your move! Pack your belongings in the same boxes professional moving companies use. Providing a complete roadmap for your overseas move — offering step-by-step planning and advice. When it comes to moving your family, trust our family for superior moving services. 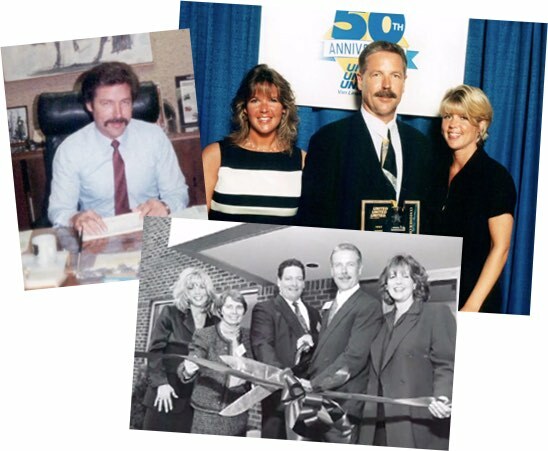 Few local moving companies can say they have been family-owned and operated for over 90 years! Denise Hewitt and Louise Froehlich represent Bohren’s 4th generation of family ownership! From our beginning in 1924, when E.L. Bohren (Denise and Louise’s great-grandfather) invested in a Model T truck and a small warehouse space in Princeton, New Jersey, we have believed that customer satisfaction is the only true competitive edge among moving companies. Now, four generations later, this attention to detail and insistence on quality have allowed our small, local moving company in New Jersey to grow into a major mover with a spotless reputation for customer service. Though we play with the big guys, we are at heart a women-owned family business that still cares about you and your move. Bohren’s Moving is headquartered in Robbinsville, New Jersey near Princeton. In 1955, we teamed with United Van Lines, the nation’s largest mover, and since then we have grown to four facilities in New Jersey and Florida.